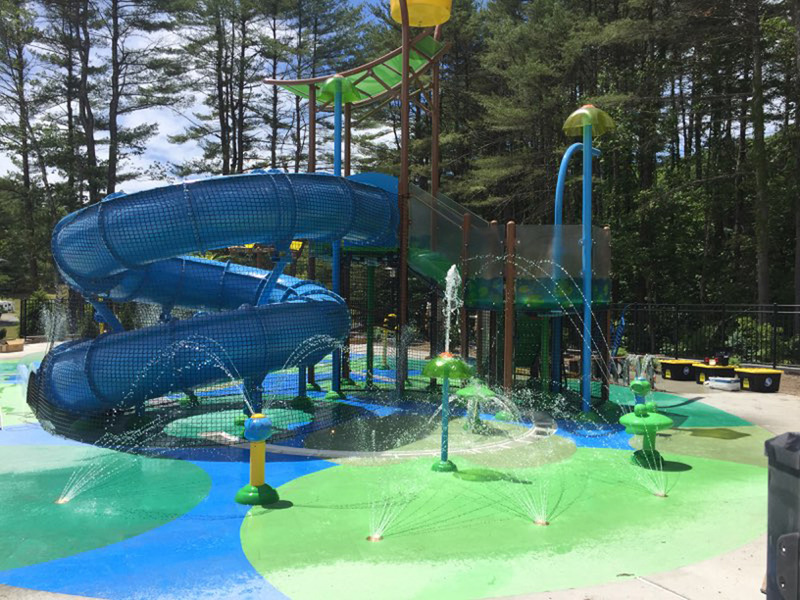 Weston & Sampson installed a zero-entry pool, spa, and splash pad at the Lake George RV park. 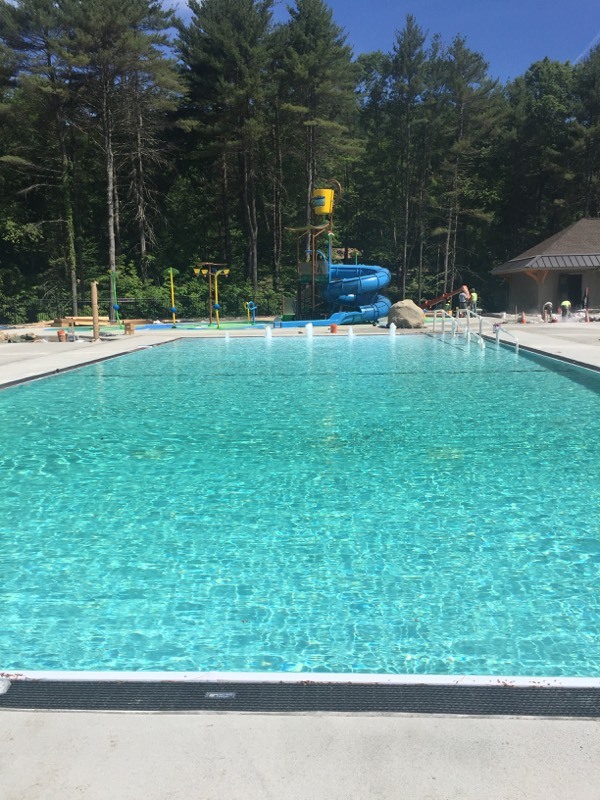 The pool and splash pad have a soft walk floor that is gentle on the feet. The cloverleaf shaped spa can hold up to 38 bathers. 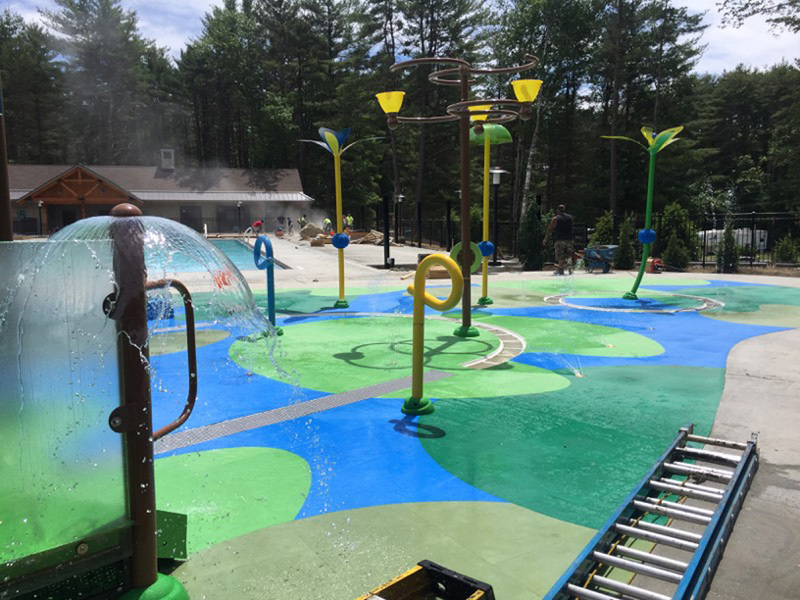 This project was designed to be a state-of-the-art facility with fully-automated water chemistry control and easy winterization, included heating splash pad water. The total flow rate for all three systems is just under 2,000 GPM. Work was started in fall 2017 and completed for opening day in summer 2018.